Sometimes we need to use only positive numbers, and the absolute value is a useful tool for this purpose. 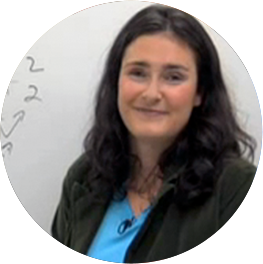 When you see an absolute value in a problem or equation, it means that whatever is inside the absolute value is always positive. 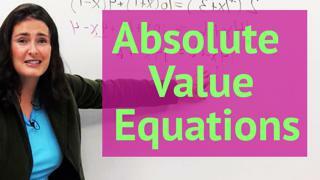 Absolute values are often used in problems involving distance and are sometimes used with inequalities. Later we will discuss graphs of absolute value equations and inequalities. Absolute Value is a funny concept in Math that a lot of people have a hard time getting used to but the important thing to keep in mind when you're working with Absolute Value is to remember that Absolute Value just means distance away from zero, I'm going to say that lots of time. So like for example if I were looking at a problem that looks like this where it said "the Absolute Value of x equals 2." That would mean x is a distance of 2 away from zero like if I had to draw a little picture of the number line starting from zero I could got two either in this direction and I would have the answer x could be 2 or I can go two in this direction and have the answer x=-2. That's the important thing to keep in mind it's just like distance away from zero. It's actually really useful in the real world you know how sometimes people say "where I'm I going to use this?" you actually will probably use this and here's why, let's say you're like hanging out on 10th Avenue and your friend is like "dude I'm 5 blocks away," you could say like "yeah are you on 5th Avenue? Like if I'm on 10th and you're 5 blocks away, are you on 5th Avenue? Or are you on 15th?" It's like it's it's it doesn't have a direction really you could be either that way or that way. That's the way Absolute Value works, and it's pretty useful. Also lot of times Absolute Value is used in manufacturing like if I already look at this bag of chips it tells me that the weight is 28.3 grams but to be honest if I were to weigh this, I doubt it's exactly 28.3 like maybe I got an extra chip so mine is 28.9 grams or something like that. Like there's an Absolute Value that's around this 28.3 grams. It might be actually higher than 28.3 or might even be lower. I might have got like my chip stolen out of my bag or something but the important thing when they're producing chips is they say okay all of our bags needs to be within a distance of maybe like 0.5 grams from 28.3. It's how they set up like some are going to be more some are going to be less. So when you're looking at Absolute Value problems, keep in mind you're probably going to have more than one answer most of the time you'll have two answers, sometimes you'll have one answer and sometimes you'll even have no answer and that's a situation where you have an Absolute Value is equal to a negative number and you'll start seeing those when you get into your homework problems.